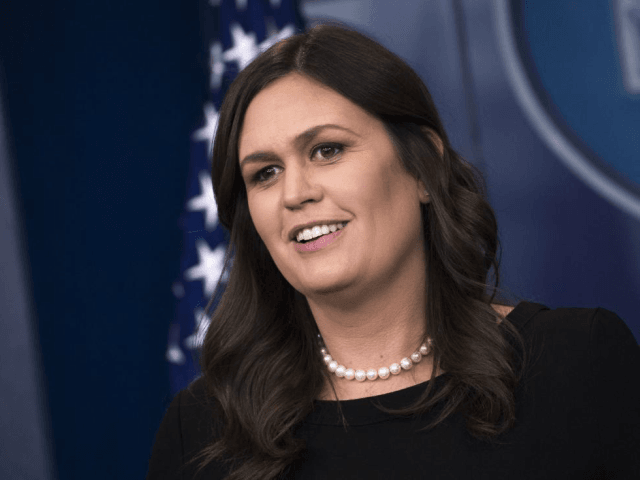 Virginia lawmaker Ben Cline (R-VA) and Rep. Bob Goodlatte (R-VA) apologized on Saturday to White House Press Secretary Sarah Sanders who was kicked out of the Red Hen restaurant in Lexington, Virginia, on Friday night because she works for President Donald Trump. “On behalf of my hometown of Lexington, I want to apologize for the rudeness of one liberal New York transplant (who also happens to be Meryl Streep’s cousin). We hope you will come back and enjoy our area’s true southern hospitality,” Cline tweeted in response the Sanders’ tweet about being tossed out because restaurant owner Stephanie Wilkinson she is anti-Trump. “What @PressSec experienced in Lexington last night is very unfortunate and doesn’t reflect accurately upon the kind and caring people of Lexington that I know. There are many great and innovative businesses in #VA06 that I hope you’ll come back to visit,” Goodlatte tweeted. “Last night I was told by the owner of Red Hen in Lexington, VA to leave because I work for @POTUS and I politely left. Her actions say far more about her than about me. I always do my best to treat people, including those I disagree with, respectfully and will continue to do so,” Sanders tweeted on Saturday. Since the blatant and hateful act of discrimination showed up on social media about the incident left-wing, anti-Trump crowd has been weighing in with their hate speech while conservatives have tried to point out their response is hypocritical. “Well gee u lie 2 us so much, and U defend a man who lies pathologically & commits crimes against humanity on the reg. These are the reasons this place did not want to serve you. When he’s in jail & u write a book about all the stuff u “couldn’t say then” I will not forget,” celebrity Sarah Silverman tweeted. “Honest Q: so the left thinks it’s not OK to refuse service wrt sexual orientation (NOT what SCOTUS decided BTW) but at the same time believes that it *is* OK to refuse service based on political affiliation and personal disagreement? Remember, nobody has been indicted for crimes,” Joel Fischer, a New York Republican, tweeted. Breitbart News reported Jaike Foley-Schultz, a waiter at the restaurant, wrote on Facebook about the incident on Saturday. “I just served Sarah huckabee sanders for a total of 2 minutes before my owner kicked her out along with 7 of her other family members…” Foley-Schultz wrote. The left-wing Washington Post was quick to come to Wilkinson’s defense, saying she was at home when a distraught staff called her with the news that Sanders was at the restaurant and she and her party had been served cheeseboards. “Several Red Hen employees are gay, she said. They knew Sanders had defended Trump’s desire to bar transgender people from the military. This month, they had all watched her evade questions and defend a Trump policy that caused migrant children to be separated from their parents,” the Post reported.